Background: Background: Due to the revolution in technology, the internet has become an important aspect in the lives of people. Modern technology is enabling people from different educational levels to use the internet for several purposes, one of which is health information seeking. Recently, online health information has become more popular among patients all over the world, as well as the general public. Objective: Objectives: This study aims to investigate the use of online health resources among undergraduate students in Kuwait University. Methods: Methods: The study employed a cross-sectional design with students selected from eight faculties of Kuwait University, four of which are Literature and four are Science faculties. Data was collected using structured questionnaires, and analysis was done using chi-square test and binary logistic regression to determine the factors associated with seeking health information online. Results: Results: The sample size obtained was 1132 with a response rate of 90.3%. Overall, the prevalence of students seeking online health information was 86.2%. The most significant factors associated with seeking health information online were age, gender, faculty, year of study, primary source of internet, and level of experience with internet use. Ninety percent of students who are more than 21 years old, used online health information compared to 83% of those who are 18 years old. Also, Female students showed a higher prevalence (88.8%) of online health information seeking than males (77.8%). All the differences found in the study were significant (P value < 0.05). Conclusions: Conclusion: The study concluded that a large number of people use the internet for seeking health information online. Socio-demographic factors have a significant association to online health information seeking. Therefore, education has to be provided by the doctors to the public about the websites that the people can trust. Update Jan 24, 2019: JFR is now live on PubMed Central! (Toronto, Nov 29th, 2018) We are pleased to report that JMIR Formative Res has been accepted for indexing in PubMed Central and PubMed. The staff at PubMed Central is currently finalizing the setup and we expect all articles published since Vol 1 / Iss 1 (2017) to be in PubMed Central and PubMed within the next couple of weeks. The acceptance is the result of a rigorous scientific and technical evaluation by the US National Library's (NLM’s) Library Operations Division, which decided that the scientific and editorial character and quality of a JMIR Formative Research merits its inclusion in PMC. In making this decision NLM has considered the suitability of the journal for the NLM collection as well as the opinions of expert consultants. JMIR Formative Research (JFR) (a PubMed-indexed sister journal of J Med Internet Res (JMIR) and JMIR mHealth & uHealth, the leading eHealth and mHealth journals by impact factor) publishes peer-reviewed, openly accessible papers containing results from process evaluations, feasibility/pilot studies and other kinds of formative research and preliminary results. While the original focus was on the design of medical and health-related research and technology innovations, JFR publishes studies from all areas of medical and health research. Many funding agencies will expect some sort of pilot/feasibility/process evaluation before funding a larger study such as a Randomized Controlled Trial (RCT). Formative research should be an integral part of developing programs or adapting programs, and should be used while the program is on-going to help refine and improve program activities. Thus, formative evaluation can and should also occur in form of a process evaluation alongside a summative evaluation such as a RCT. This journal fills an important gap in the academic journals landscape, as it publishes sound and peer-reviewed formative research that is criticial for investigators to apply for further funding, but that is usually not published in outcomes-focussed medical journals aiming for impact and generalizability. Summative evaluations of programs and apps/software that have undergone a thorough formative evaluation before launch have a better chance to be published in our high-impact flagship journals (JMIR mHealth, J Med Internet Res, JMIR Serious Games), thus we encourage authors to submit - as a first step - their formative evaluations in JMIR Formative Res (and their evaluation protocols in JMIR Res Protoc). JMIR Formative Res has been accepted for indexing in PubMed and PubMed Central. Background: Remote monitoring of physical activity in patients with chronic conditions could be useful to offer care professionals real-time assessment of their patient’s daily activity pattern to adjust appropriate treatment. However, the validity of commercially available activity trackers that can be used for telemonitoring purposes is limited. Objective: The purpose of this study was to test usability and determine the validity of 3 consumer-level activity trackers as a measure of free-living activity. Methods: A usability evaluation (study 1) and validation study (study 2) were conducted. In study 1, 10 individuals wore one activity tracker for a period of 30 days and filled in a questionnaire on ease of use and wearability. In study 2, we validated three selected activity trackers (Apple Watch, Misfit Shine, and iHealth Edge) and a fourth pedometer (Yamax Digiwalker) against the reference standard (Actigraph GT3X) in 30 healthy participants for 72 hours. Outcome measures were 95% limits of agreement (LoA) and bias (Bland-Altman analysis). Furthermore, median absolute differences (MAD) were calculated. Correction for bias was estimated and validated using leave-one-out cross validation. 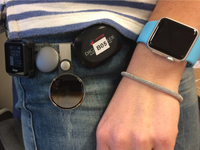 Results: Usability evaluation of study 1 showed that iHealth Edge and Apple Watch were more comfortable to wear as compared with the Misfit Flash. Therefore, the Misfit Flash was replaced by Misfit Shine in study 2. During study 2, the total number of steps of the reference standard was 21,527 (interquartile range, IQR 17,475-24,809). Bias and LoA for number of steps from the Apple Watch and iHealth Edge were 968 (IQR −5478 to 7414) and 2021 (IQR −4994 to 9036) steps. For Misfit Shine and Yamax Digiwalker, bias was −1874 and 2004, both with wide LoA of (13,869 to 10,121) and (−10,932 to 14,940) steps, respectively. The Apple Watch noted the smallest MAD of 7.7% with the Actigraph, whereas the Yamax Digiwalker noted the highest MAD (20.3%). After leave-one-out cross validation, accuracy estimates of MAD of the iHealth Edge and Misfit Shine were within acceptable limits with 10.7% and 11.3%, respectively. Conclusions: Overall, the Apple Watch and iHealth Edge were positively evaluated after wearing. Validity varied widely between devices, with the Apple Watch being the most accurate and Yamax Digiwalker the least accurate for step count in free-living conditions. The iHealth Edge underestimates number of steps but can be considered reliable for activity monitoring after correction for bias. Misfit Shine overestimated number of steps and cannot be considered suitable for step count because of the low agreement. Future studies should focus on the added value of remotely monitoring activity patterns over time in chronic patients. Background: Moderate to severe postoperative pain in children is common. Increased pediatric day surgeries have shifted postoperative pain management predominantly to the home setting. Mobile health technology has the potential to overcome barriers to pain care by improving access to self-management resources. However, pain apps generally lack scientific evidence and are highly underutilized due to lack of involvement of end users in their development. Thus, an evidence-based pain self-management smartphone app that incorporates the needs and perspective of children and adolescents (end users) has potential to improve postoperative pain management. Objective: This paper aimed to describe how the principles of user-centered design were applied to the development of iCanCope PostOp, a smartphone-based pain self-management app for children and adolescents after surgery. Specifically, it presents 2 completed phases of the user-centered design process (concept generation and ideation) for the iCanCope PostOp app. Methods: Phase 1 was a multisite needs assessment from the perspective of 19 children and adolescents who had undergone various day surgeries, 19 parents, and 32 multidisciplinary health care providers. Children, adolescents, and parents completed individual semistructured interviews, and health care providers participated in focus groups. Data were summarized using qualitative content analysis. Phase 2 developed a pain care algorithm for the app using Delphi surveys and a 2-day in-person design workshop with 11 multidisciplinary pediatric postoperative pain experts and 2 people with lived experience with postoperative pain. Results: Phase 1 identified self-management challenges to postoperative pain management and recovery; limited available resources and reliance on medications as a predominant postoperative pain management strategy; and shared responsibility of postoperative pain care by children and adolescents, parents, and health care providers. Key app functions of tracking pain, pain self-management strategies, and goal setting were identified as priorities. Phase 2 led to the successful and efficient generation of a complete preliminary pain care algorithm for the iCanCope PostOp app, including clinically relevant inputs for feasible assessment and reassessment of pain and function (rest or sleep, movement or play, and mood or worry), as well as a catalog of pain management advice to be pushed to end users (psychological, physical, pharmacological, and education). Conclusions: The concept ideation and generation phases of the user-centered design approach were successfully completed for the iCanCope PostOp app. Next steps will include design finalization, app development (iOS or Android), evaluation through a randomized controlled trial, and subsequent implementation of the iCanCope PostOp app in clinical care. Background: Web-based interventions can help people living with HIV achieve better clinical outcomes and behaviors, but integrating them into clinical practice remains challenging. There is a gap in understanding the feasibility of implementing these interventions in HIV clinic settings from the clinicians’ perspective. Objective: The goal of the research was to determine whether Positive Health Check (PHC)—a Web-based, tailored video counseling tool focused on increasing patient adherence and retention in care and reducing HIV risk among HIV-positive patients—was acceptable, appropriate, and feasible for HIV primary care clinic staff to implement in clinic workflows. Methods: A multiple-case study design was used to evaluate the pilot implementation. Four primary care clinics located in the southeastern United States implemented PHC over a 1-month period. Nine clinic staff across the clinics participated in structured interviews before, during, and after the implementation. In total, 54 interviews were conducted. We used a framework analysis approach to code the data and identify themes related to implementation outcomes, including acceptability, appropriateness, and feasibility. We also analyzed patient intervention use metrics (n=104) to quantify patient intervention completion rates (n=68). Results: Overall, clinicians viewed PHC as acceptable and appropriate. Themes that emerged related to these implementation outcomes include the ability for PHC to increase provider-patient communication and its ability to engage patients due to the tailored and interactive design. While generally feasible to implement, challenges to the clinic workflow and physical environment were areas that clinics needed to manage to make PHC work in their clinics. Conclusions: Findings from this pilot implementation suggest that clinical staff viewed PHC as acceptable and appropriate, especially as more patients used the intervention over the pilot period. Feasibility of implementation was challenging in some cases, and lessons learned from this pilot implementation can provide information for larger scale tests of the intervention that include assessment of both implementation outcomes and clinical outcomes. Background: Patient-reported outcomes are increasingly utilized in routine orthopedic clinical care. Computer adaptive tests (CATs) from the Patient-Reported Outcomes Measurement Information System (PROMIS) offer a brief and precise assessment that is well suited for collection within busy clinical environments. However, software apps that support the administration and scoring of CATs, provide immediate access to patient-reported outcome (PRO) scores, and minimize clinician burden are not widely available. Objective: Our objective was to design, implement, and test the feasibility and usability of a Web-based system for collecting CATs in orthopedic clinics. Methods: AO Patient Outcomes Center (AOPOC) was subjected to 2 rounds of testing. Alpha testing was conducted in 3 orthopedic clinics to evaluate ease of use and feasibility of integration in clinics. Patients completed an assessment of PROMIS CATs and a usability survey. Clinicians participated in a brief semistructured interview. Beta-phase testing evaluated system performance through load testing and usability of the updated version of AOPOC. In both rounds of testing, user satisfaction, bugs, change requests, and performance of PROMIS CATs were captured. Results: Patient feedback supported the ease of use in completing an assessment in AOPOC. Across both phases of testing, clinicians rated AOPOC as easy to use but noted difficulties in integrating a Web-based software application within their clinics. PROMIS CATs performed well; the default assessment of 2 CATs was completed quickly (mean 9.5 items) with a satisfactory range of measurement. Conclusion: AOPOC was demonstrated to be an easy-to-learn and easy-to-use software application for patients and clinicians that can be integrated into orthopedic clinical care. The workflow disruption in integrating any type of PRO collection must be addressed if patients’ voices are to be better integrated in clinical care. Background: There are few support systems available to informal carers who provide care to cancer patients. Smartphone apps have the capacity to reach large audiences and can provide information and support at a time convenient to carers. Objective: The aim of this study was to design a smartphone app prototype for carers of adults with cancer. Methods: A multiple-method design was used to develop a smartphone app. Current and past carers of people with any type of cancer were recruited from a public hospital, a private hospital, and a carer organization, who participated in either a focus group or phone interview. Carers answered questions about items to include in an app to address supportive care needs identified. Using carers’ feedback, a smartphone app was designed and tested. Beta testing was conducted using a convenience sample of participants who completed scenarios to inform the app’s design, functionality, and usability. Scenarios were timed and marked as complete or incomplete. Participants completed a questionnaire about the usability of the app. Beta testing occurred in 2 stages—a paper-based version of the app and an app-based test using the participants’ preferred device. Alpha testing was completed internally to ensure the functionality of the app. Data were collected between May 2016 and August 2017. Results: A total of 33 carers participated in phone interviews and 12 in focus groups; their average age was 55 (SD 14) years, and 60% (27/45) were female. The majority of carers (76%, 25/33) had a positive attitude toward using smartphone apps. Carers noted that smartphone technology might improve their ability to seek information and support in managing their own health as well as the care needs of the person with cancer. Carers requested a variety of information and resources to be included in the app. Paper-based testing included the following: participants (N=10) were aged above 30 years (30%, 3/10), 30 to 49 years (30%, 3/10), and 50 years or above (40%, 4/10), and 60% (6/10) were male. Participants found the app user-friendly and pleasing in appearance. App-based testing included the following: participants (N=10) were aged above 30 years (20%, 2/10), 30 to 49 years (30%, 3/10), and 50 years or above (50%, 5/10), and 50% (5/10) were male. Participants reported the app to be user-friendly and easy to navigate. The majority (60%, 6/10) of participants were unable to create a shortcut icon to add the app to the home screen of their phone. Conclusions: Carers highlighted the needed information and support to assist them during the caring period; they also reported having a positive attitude toward smartphone apps. The Carer Guide App is currently undergoing a pilot study to further test usability among carers of people with 1 cancer type. Background: Population surveillance sites generate many datasets relevant to disease surveillance. However, there is a risk that these data are underutilized because of the volumes of data gathered and the lack of means to quickly disseminate analysis. Data visualization offers a means to quickly disseminate, understand, and interpret datasets, facilitating evidence-driven decision making through increased access to information. Objectives: This paper describes the development and evaluation of a framework for data dashboard design, to visualize datasets produced at a demographic health surveillance site. 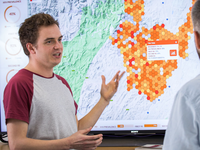 The aim of this research was to produce a comprehensive, reusable, and scalable dashboard design framework to fit the unique requirements of the context. Methods: The framework was developed and implemented at a demographic surveillance platform at the Africa Health Research Institute, in KwaZulu-Natal, South Africa. This context represents an exemplar implementation for the use of data dashboards within a population health-monitoring setting. Before the full launch, an evaluation study was undertaken to assess the effectiveness of the dashboard framework as a data communication and decision-making tool. The evaluation included a quantitative task evaluation to assess usability and a qualitative questionnaire exploring the attitudes to the use of dashboards. Results: The evaluation participants were drawn from a diverse group of users working at the site (n=20), comprising of community members, nurses, scientific and operational staff. Evaluation demonstrated high usability for the dashboard across user groups, with scientific and operational staff having minimal issues in completing tasks. There were notable differences in the efficiency of task completion among user groups, indicating varying familiarity with data visualization. The majority of users felt that the dashboards provided a clear understanding of the datasets presented and had a positive attitude to their increased use. Conclusions: Overall, this exploratory study indicates the viability of the data dashboard framework in communicating data trends within population surveillance setting. The usability differences among the user groups discovered during the evaluation demonstrate the need for the user-led design of dashboards in this context, addressing heterogeneous computer and visualization literacy present among the diverse potential users present in such settings. The questionnaire highlighted the enthusiasm for increased access to datasets from all stakeholders highlighting the potential of dashboards in this context. Background: The majority of pregnant youth gain more weight than recommended by the National Academy of Medicine guidelines. Excess weight gain during pregnancy increases the risk of dangerous complications during delivery, including operative delivery and stillbirth, and contributes to the risk of long-term obesity in both mother and child. Little is known regarding youth’s perceptions of and knowledge about weight gain during pregnancy. Objective: The aim of this study was to describe the feasibility and acceptability of 3 novel data collection and analysis strategies for use with youth (social media posts, text message surveys, and semistructured interviews) to explore their experiences during pregnancy. The mixed-methods analysis included natural language processing and thematic analysis. Methods: To demonstrate the feasibility and acceptability of this novel approach, we used descriptive statistics and thematic qualitative analysis to characterize participation and engagement in the study. Results: Recruitment of 54 pregnant women aged between 16 and 24 years occurred from April 2016 to September 2016. All participants completed at least 1 phase of the study. Semistructured interviews had the highest rate of completion, yet all 3 strategies were feasible and acceptable to pregnant youth. Conclusions: This study has described a novel youth-centered strategy of triangulating 3 sources of mixed-methods data to gain a deeper understanding of a health behavior phenomenon among an at-risk population of youth. Background: Electronic mental (e-mental) health interventions can address mental health needs of different populations. Cultural adaptation of these interventions is crucial to establish a better fit with the cultural group and to achieve better treatment outcomes. Objective: This study aimed to describe the cultural adaptation of the World Health Organization’s e-mental health program Step-by-Step for overseas Filipino workers. We used a framework which posits that cultural adaptation should enhance (1) relevance, wherein the cultural group can relate with the content; (2) acceptability, where the cultural group will not find any element offensive; (3) comprehensibility, where the program is understandable; and (4) completeness, wherein the adapted version covers the same concepts and constructs as the original program. We aimed to have English and Filipino and male and female versions. Methods: Overall, 3 experienced Filipino psychologists provided their perspectives on the program and how it might be adapted for overseas Filipino workers. We then adapted the program and obtained feedback from 28 overseas Filipino workers from diverse industries through focus group discussions. We conducted 7 and 9 focus group discussions with male and female participants, respectively. Per discussion, cognitive interviewing was used to probe for relevance, acceptability, comprehensibility, and completeness of illustrations and text. Participant feedback guided iterative program adaptations, which were again shown to participants for validation and improvement. Results: Several issues were raised by participants about the generic version of Step-by-Step. There were elements deemed irrelevant, like unfitting characters, lack of Filipino values, and unsuitable problems and activities. There were unacceptable components that were stigmatizing, political, inappropriate to context or subgroups, and too feminine for male users. Some elements were incomprehensible, unclear, or complicated. To address these issues, we made key adaptations. To enhance relevance, we adapted the narrative to match the experiences of overseas Filipino workers, incorporated Filipino values, and illustrated familiar problems and activities. To increase acceptability, our main characters were changed to wise elders rather than health professionals (reducing mental health and help-seeking stigma), political or unacceptable content was removed, and the program was made suitable for overseas Filipino workers from different sectors. To increase comprehension, we used English and Filipino languages, simplified the text to ease interpretation of abstract terms, and ensured that text and illustrations matched. We also used Taglish (ie, merged English and Filipino) when participants deemed pure Filipino translations sounded odd or incomprehensible. Finally, we retained the core elements and concepts included in the original Step-by-Step program to maintain completeness. Conclusions: This study showed the utility of a 4-point framework that focuses on acceptance, relevance, comprehensibility, and completeness in cultural adaptation. Moreover, we achieved a culturally appropriate adapted version of the Step-by-Step program for overseas Filipino workers. We discuss lessons learned in the process to guide future cultural adaptation projects of e-mental health interventions. Background: Smoking is the leading preventable cause of morbidity and mortality in the United States, killing more than 450,000 Americans. 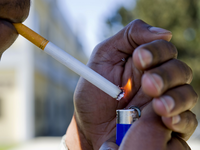 Primary care physicians (PCPs) have a unique opportunity to discuss smoking cessation evidence in a way that enhances patient-initiated change and quit attempts. 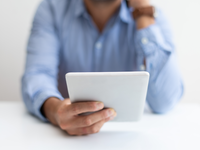 Patients today are better equipped with technology such as mobile devices than ever before. Objective: The aim of this study was to evaluate the challenges in developing a tablet-based, evidence-based smoking cessation app to optimize interaction for shared decision making between PCPs and their patients who smoke. Methods: A group of interprofessional experts developed content and a graphical user interface for the decision aid and reviewed these with several focus groups to determine acceptability and usability in a small population. Results: Using a storyboard methodology and subject matter experts, a mobile app, e-Quit worRx, was developed through an iterative process. This iterative process helped finalize the content and ergonomics of the app and provided valuable feedback from both patients and provider teams. Once the app was made available, other technical and programmatic challenges arose. Conclusions: Subject matter experts, although generally amenable to one another’s disciplines, are often challenged with effective interactions, including language, scope, clinical understanding, technology awareness, and expectations. The successful development of this app and its evaluation in a clinical setting highlighted those challenges and reinforced the need for effective communications and team building. Background: Birth plans are meant to be a declaration of the expectations and preferences of pregnant woman regarding childbirth. 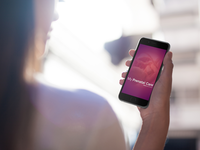 The My Prenatal Care app engages pregnant women in an educational intervention for a healthy pregnancy. We hypothesized that users’ positive perception of an in-app birth plan is a relevant step for establishing direct communication between pregnant women and the health care team, based on an online report available on the app. Objective: This study aimed to evaluate pregnant women’s perception about the communicability of birth-plan preparation using a mobile app. Methods: This was an observational, exploratory, descriptive study. The methodology was user centered, and both qualitative and quantitative approaches were employed. The tools of the communicability evaluation method were applied. Overall, 11 pregnant women evaluated their experience of using a birth-plan prototype interface. The evaluation was performed in a controlled environment, with authorized video recording. There were 8 task-oriented interactions proposed to evaluate interface communicability with users when using the Birth Plan menu. For evaluating perceptions and experiences, a survey with structured and open-ended questions in addition to the free expression of participants was conducted. 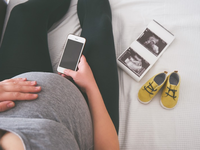 The primary outcomes assessed were interface communicability and user’s perception of the Birth Plan prototype interface in the My Prenatal Care mobile app. Secondarily, we involved users in the prototyping phase of the interface to identify bottlenecks for making improvements in the app. Results: Regarding users’ performance in accomplishing previously prepared tasks, we found that 10 of 11 (91%) women were capable of completing at least 6 of 8 (75%) tasks. A positive relationship was found between the number of communicability problems and the success of completing the tasks. An analysis of the records revealed three communicability breakdowns related to the data entry, save, and scrollbar functions. The participants freely expressed suggestions for improvements such as for the save function and the process of sharing the birth-plan form upon completion. Conclusions: Users had a positive perception of the Birth Plan menu of the My Prenatal Care app. This user-centered validation enabled the identification of solutions for problems, resulting in improvements in the app. Background: The seminal Dietary Approaches to Stopping Hypertension (DASH) study demonstrated the effectiveness of diet to control hypertension, however, effective implementation and dissemination of its principles have been limited. 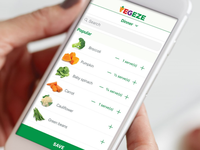 Objective: We hypothesize that a smartphone version of the DASH diet that uses automatic data collection, social networks, and “in-the-moment” feedback will be an effective medium for the delivery of DASH. Methods: We conducted a single arm pilot study from August 2015 - August 2016 with a pre-post evaluation design to evaluate the feasibility and preliminary efficacy of a smartphone version of DASH incorporating human health-coaching. Results: Seventeen patients participated; they had a mean age of 59 years (SD 6) and 60% were women. Engagement was high: out of 90 days, the mean number of logged blood pressures was 63 (SD 46), recorded weights was 52 (SD 45), and recorded steps was 55 (SD 36). 73% of coaching phone calls were completed. The mean number of servings documented per patient for the dietary assessment was 709 (SD 541), and patients set a mean number of 5 (SD 2) goals. Mean systolic and diastolic blood pressure, heart rate, weight, body mass index; or steps did not significantly change over time. Conclusions: Successful lifestyle change interventions require substantial patient motivation, engagement, and access to experts. Our study was underpowered to evaluate for change in clinical outcomes; however, the high engagement of DASH mobile suggests that the “in-the-moment” delivery of DASH mobile may be a way to integrate and sustain behavioral change in HTN management. Future implementations of DASH can include integrated calendars, alarms, social networks, GPS or other smartphone tools to allow the delivery of behavioral feedback and education to the specific to the user’s behavior.